Before modern medicine, a long and healthy life was not very easy to achieve, but people tried to ensure good luck by following superstition. Many superstitions grew up around weddings, to bring about a girl’s happiness in her new home and of course to guarantee her fertility. The colour of the gown was a popular source of luck. White, or a variation of white, was of course always a favourite and symbolised a girl’s virginity and innocence in the face of her imminent change of state. But it was not a practical shade for most purposes and it was not always the favourite choice. Blue (as worn by a bride of 1870, left, whose gown is in the London Museum), with its associations with the Virgin Mary, was another a strong symbol of purity, which also traditionally symbolised fidelity and eternal love (hence the popularity of the sapphire in engagement rings). Brides who wore blue believed their husbands would always be true to them, so even if their gown itself was not blue, they would be sure to wear something blue about their person. This is another tradition that has survived to this day. Pink was another popular colour, considered most suitable for a May wedding. 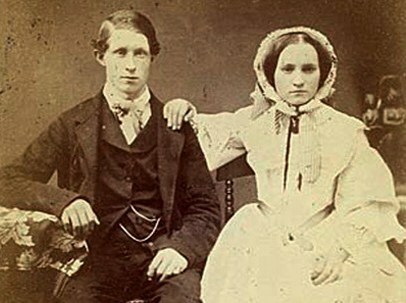 It is flattering to most complexions and associated with girlhood, but some superstitions held it to be unlucky – “Marry in pink and your fortunes will sink”! Mrs Joseph Nollekens was much admired in 1772 in her saque gown of brocaded white silk embroidered with delicate pink flowers. She wore shoes of the same material, with heels of three and a half inches (8cm). 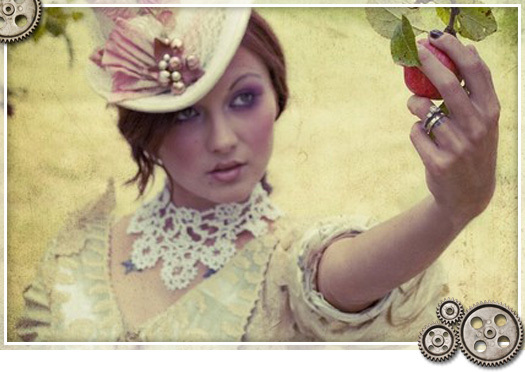 The deeper shade of red was definitely taboo by Victorian times, with its reference to scarlet women and hussies. Amongst the unpopular shades was green. This was considered the fairies’ colour, and it was bad luck to call the attention of the little folk to oneself during a time of transition. Also linked with the lushness of verdent foliage, it was held to make rain spoil the big day. Harking back to the days of homespun garments, any natural shade of brown or beige was considered very rustic. “Marry in brown you will live out of town” with the implication that you will be a hick and never make good in the city. The bright shade of yellow has had varied popularity. In the eighteenth century it was THE trendy colour for a while, and many wore it, like this bride of around 1774 (left) whose dress is at the Gallery of English Costume in Manchester, but before that time it had been associated with heathens and non Christians and was considered an unholy shade to wear in church! For brides of the lower classes, an extremely common shade of wedding gown was grey, because it was such a useful colour to re-use as Sunday best, being considered eminently respectable. Mary Brownfield chose grey twilled silk as suitable, as a maiden lady of 32 years at the time of her marriage in 1842. In Victorian times it became associated with girls in domestic service, as they would often be provided with a new grey dress each year by their employer. Its deeper shade of black was of course banned, with its permanent association with death and mourning. In fact it was considered such a bad omen that in some places even the guests were not allowed to wear it, and a recent widow would change her mourning for a red gown for the day, in deference to the bride. This in turn deepened the antipathy towards red, which was viewed as bridal mourning. The Industrial Revolution also brought about change. By the 1890’s and the arrival of the department store, almost every woman could realize her dream of being married in a “new” wedding dress. The white dress was gaining popularity and in 1890, Ladies Home Journal wrote: “That from times immemorial the bride’s gown has been white”. Although this statement was not true, it shows how deeply accepted it was that a wedding gown be white. 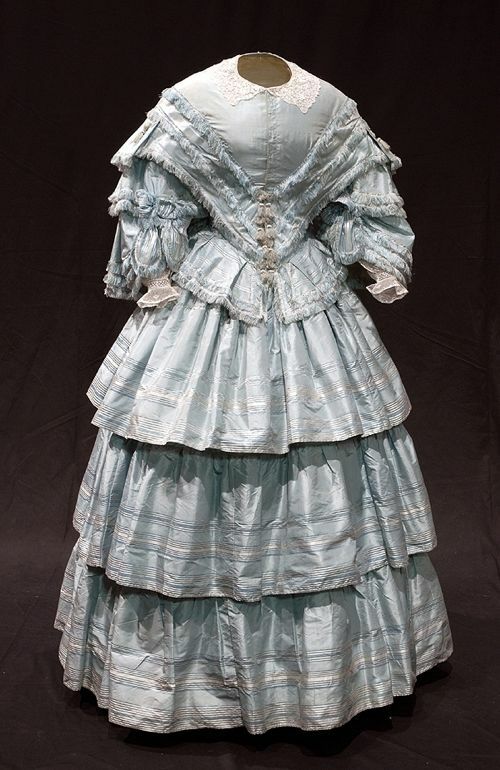 Although white was popular, some brides, especially the frontier brides, wore dresses that were more practical and could be worn after the wedding. As wedding dresses closely resembled the fashions of the time, only a little alteration was needed for the dress to be perfect to wear again. 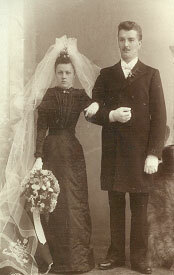 Edwardian brides took the traditions of their Victorian ancestors to new extremes. Fashions became more extravagant as the decade progressed, but came to a screeching halt with the outbreak of WWI. Styles became simpler, and also reflected the changing role of women in society with hems getting shorter and the disposing of tightly laced corsets. When the Depression hit, brides made do with their “best” dress for the wedding. 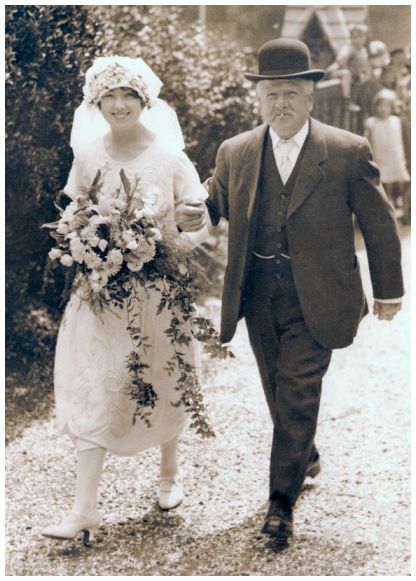 My great grandmother, who was married in 1928 had a new white wedding dress, but after the wedding she dyed it navy, keeping only the collar and cuffs white—a common practice at that time. During WWII, women considered it their duty to give up the traditional wedding , although most brides might be engaged only for a few weeks or even days before the wedding took place. This did not leave enough time to find a wedding dress so the best suit had to do. If the bride was set on having a white dress, one could be borrowed or rented for the ceremony. If both the bride and groom were in the military they were married in their respective uniforms. Coco Chanel was a powerful force behind the change in women’s’ fashions, and was the one who officially introduced the short wedding dress in the 1920’s. It was a white knee length dress worn with a long train. This cemented white as the universal color of the wedding dress. 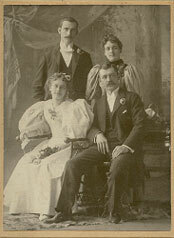 After the war, prosperity made it possible for the large dream weddings inspired by the Victorian era to become a reality. 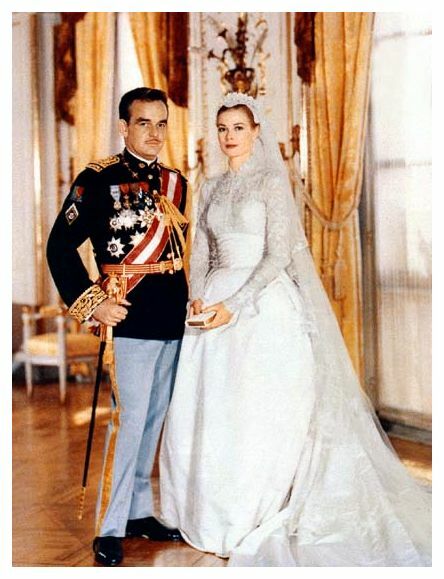 Grace Kelly’s marriage to Prince Monaco garnered much publicity because of its grand fairy tale wedding. She wore a white silk and lace gown. 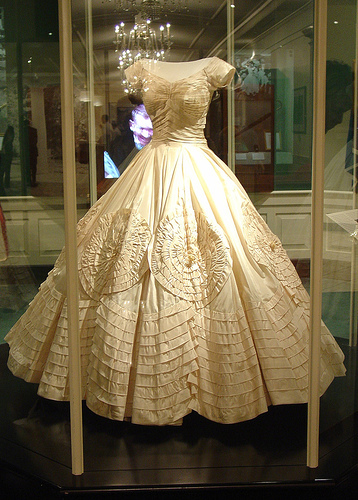 The focus of wedding dresses has shifted since the 1950”s. The emphasis now is on the individuality of the bride. 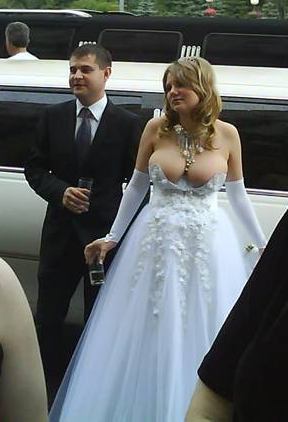 So whatever color you choose to be married in, you now know a bit more behind the tradition of the white wedding dress. Wedding dresses since then have grown to become the complete creation of the bride. 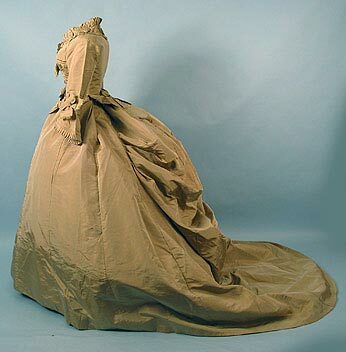 Times have shown some of the most elegant through to the trashiest dresses in history; yet, anything goes! So, if you are getting married, Take Action! The dress is up to YOU; and there seems to be no lasting protocol as to what, how, when nor why one should wear any style in particular. Than name of the wedding game today is to Feel it! The following is one of the most odacious of dresses I could find to share, in my opinion. there is the Bouvier-Kennedy Classic! ” I do! ” says Catherine Middleton and we all must wait until the 29th to see her choice?